How much energy is your home using? And perhaps more importantly, how much energy is your home wasting, and where is it being lost? 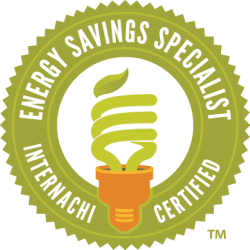 A home energy audit is the first step in discovering the overall efficiency of your house, so you can optimize it for maximum comfort and cost savings. 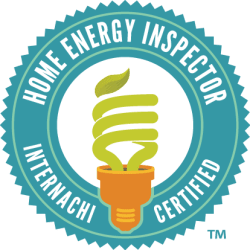 Aside from meticulous room-by-room examinations and detailed analysis of your utility bills and every appliance that draws power, our energy audit consists of two main components: blower door tests and digital thermal imaging, each executed using the latest state-of-the-art technologies. Each blower door or thermal imaging test can be purchased separately, or bundled for the cost-saving Full Home Energy Audit. In the end you’ll be presented with a detailed report of findings and recommendations—ranked by priority—for efficiency improvements. Check out a Tri-State Home Energy Audit Sample Report here. In Ohio: Gallia, Meigs, Lawrence, Washington, Scioto, Athens, Vinton, Jackson, Adams, Pike, Ross, Hocking, Perry, Morgan, Noble & Monroe counties. In West Virginia: Wood, Jackson, Mason, Cabell, Putnam, Wirt, Roane, Kanawha, Lincoln & Wayne counties. In Kentucky: Greenup, Boyd & Lawerence counties. We will travel to any location in these three states, contact us for pricing outside of the above listed counties. Home Inspections, Mold Inspections, Mold Testing, Radon Testing, Home Energy Audits, Lead Paint, Water Testing, Allergy Testing.